Skyline has a new trailer and this one isn’t holding anything back. The alien plot to hoover up humanity is laid out in full and it involves not just an eerie light with maximum sucking power, but extra-sticky alien tentacles and giant Cloverfield sized monsters too. This new trailer looks like an extremely strange combination of Signs, Independence Day, and Cloverfield all at once. Small scale shots of individual humans trying not to look into the light (if you do it’ll get you) and then large scale battle shots of crashing alien ships and war planes on the attack. It’s like Skyline is trying to do everything at once, but on a budget. I hope it hasn’t tried to bite off too much, because if it works, this could be incredibly cool. Check out the new trailer below or in HD on Apple. 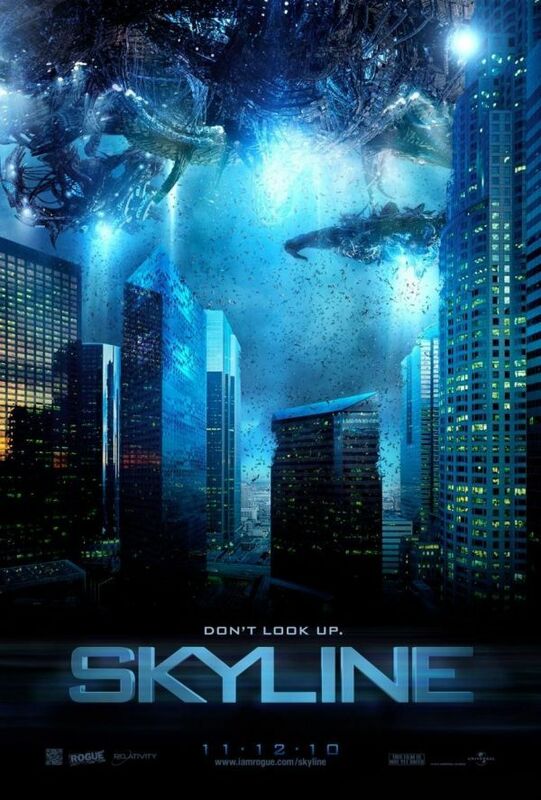 To go along with the trailer we have nearly a dozen new images from Skyline. Click on the poster below to see them all in our high-res Skyline photo gallery.